The BlackBerry Avengers, take 2 - Now starring Dan Dodge as Hawkeye; but who will play Nick Fury?! 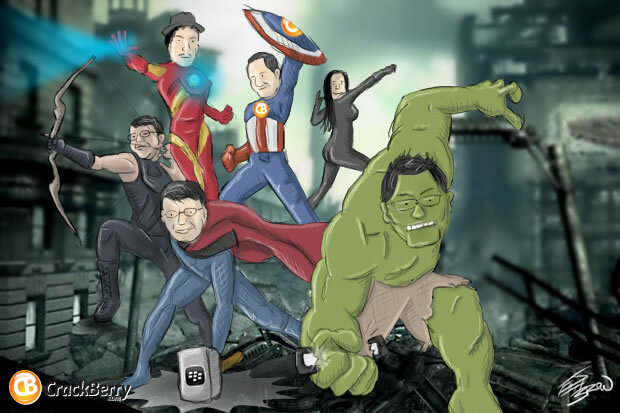 Last week when we posted version 1.0 of the BlackBerry Avengers, we had Hawkeye taking the photo and out of frame. This week he's in with the rest of the BBAvengers... played by QNX Founder and RIM's lead BlackBerry 10 software architect, Dan Dodge. Now we just need to figure out who to add as Nick Fury into next week's version... leave your suggestions in the comments!